Air Chief Marshal Sohail Aman has announced that Pakistan will be able to send astronauts into space with the collaboration of China in the next two years. 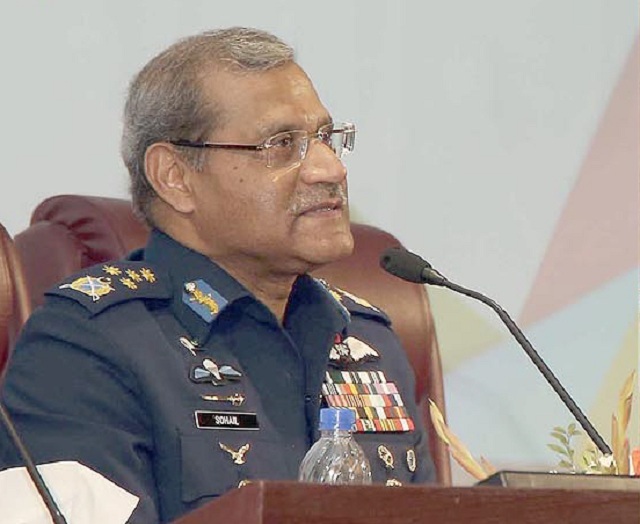 He was addressing the inauguration session of AirTechâ€™17 conference, hosted by Air University in Islamabad on Thursday, according to a statement issued by Pakistan Air force (PAF). AirTechâ€™17 is the countryâ€™s largest technical and scientific Olympiad, being held at the main campus of Air University from December 7 to 10. The air chief disclosed that Pakistan was currently working to manufacture next generation aircraft with the support of Chinese experts, adding that China was also providing technical support to Pakistan for launching the satellite programme. Pakistan annually manufactures 16 to 20 JF-17 aircraft, which are much better than F-16 planes in performance, said Aman. Commenting over importance of national defence, he said Pakistan was on right track to curb terrorism and emphasised that security, stability and prosperity were interlinked in todayâ€™s world. The air chief, in his keynote address on â€œLeadership, Education & Society Developmentâ€, said the purpose of an education system must be to introduce latest technologies and contribute something positive for the betterment of society as a whole. He also urged the importance of industry-academia cooperation. Quote: No doubt, Pakistani students are talented, intelligent and hard-working but to achieve success in life goals, unconditional faith, firm commitment and tireless struggle are essential. So just one statement that too from Air Chief and that statement actually says "will be able to send" and not "will send". Not gonna happen.